Godzilla goes to town. 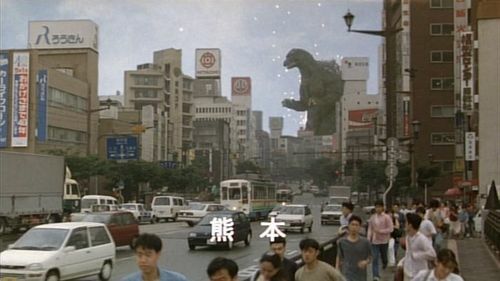 A vidcap picture of Godzilla looming over a city, taken from "Godzilla vs. Spacegodzilla".. Wallpaper and background images in the Godzilla club tagged: godzilla picture spacegodzilla. oh no godzilla has snaped off again!